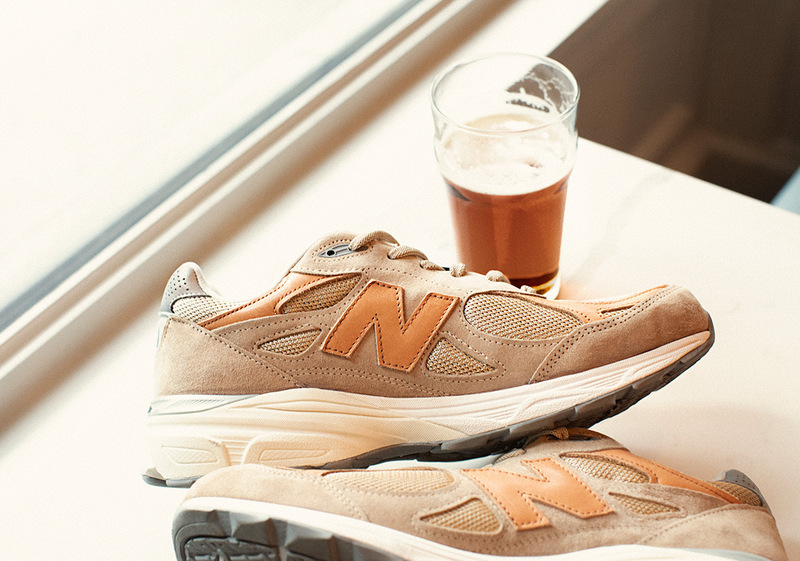 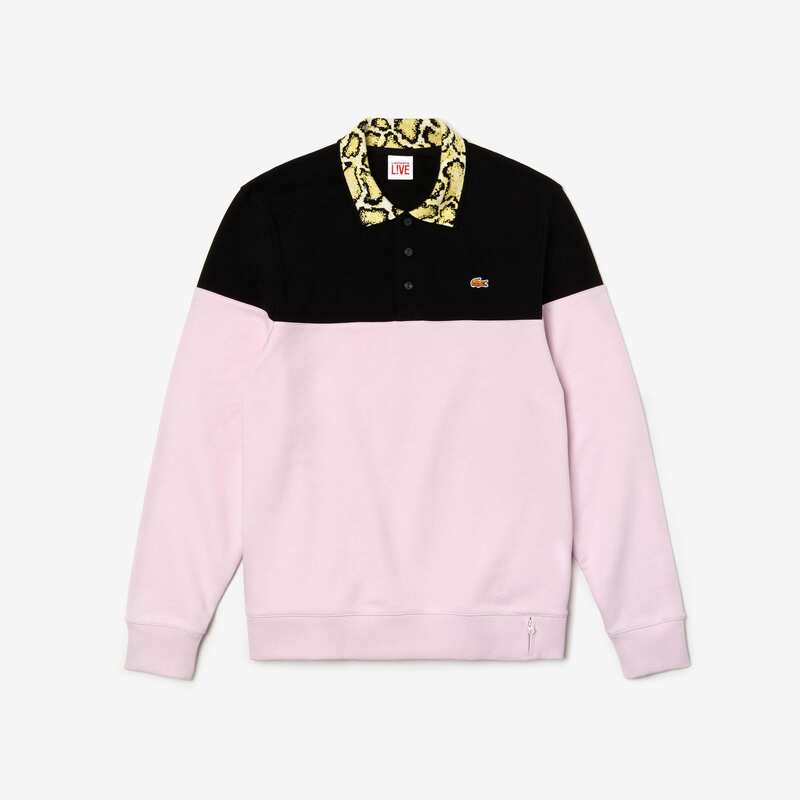 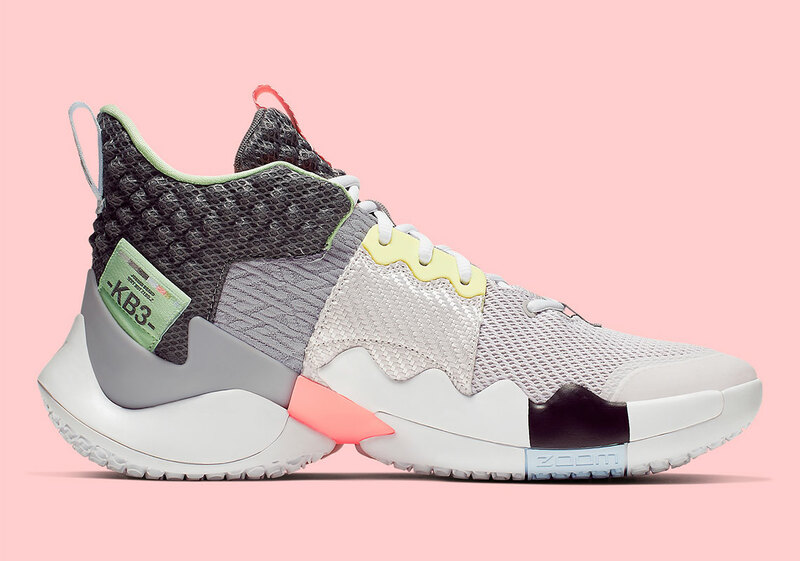 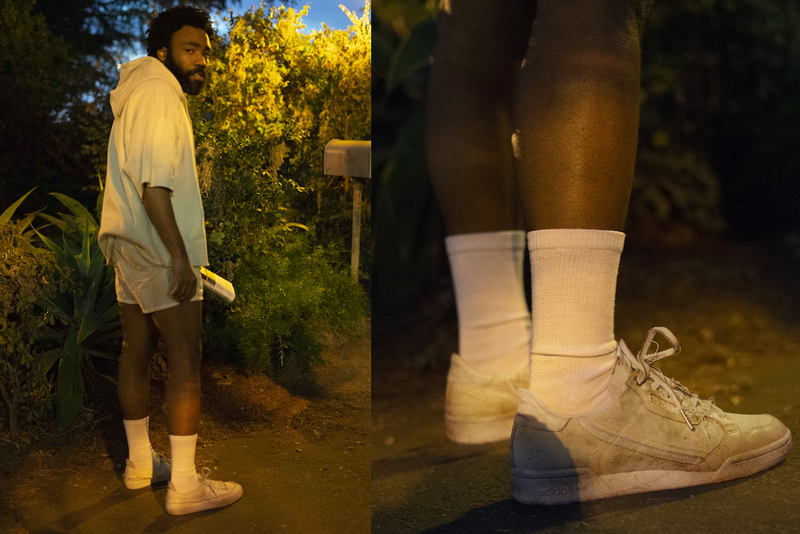 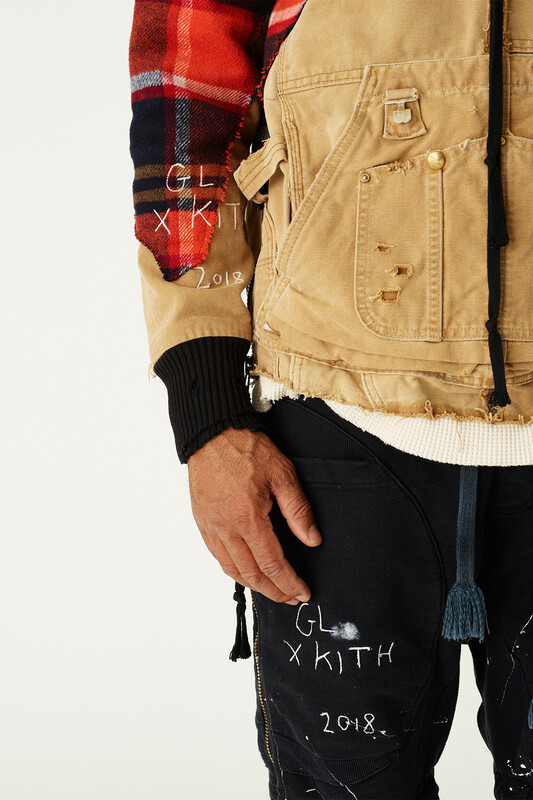 Corduroy was the vibe in KITH’s Fall 2018 offering that we saw back in September, and now it looks like Ronnie Fieg is connecting with a heavy hitter in the lifestyle world for a proper follow-up filled with tons of season-appropriate materials. 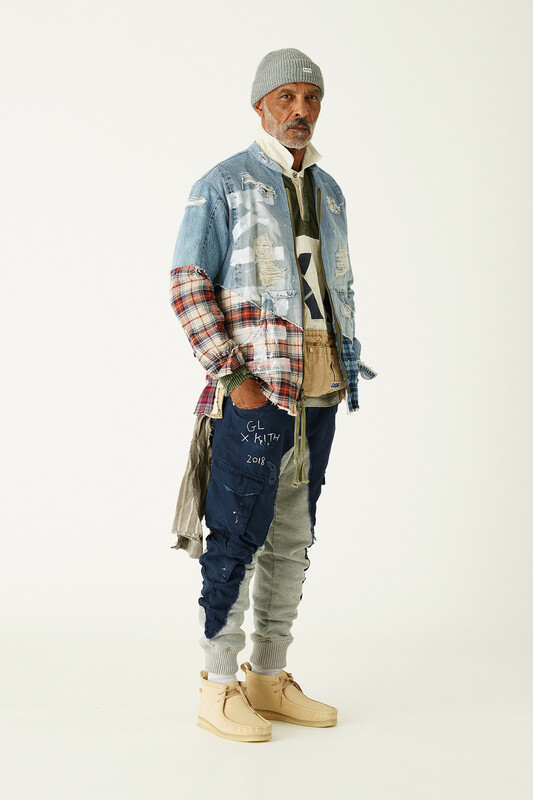 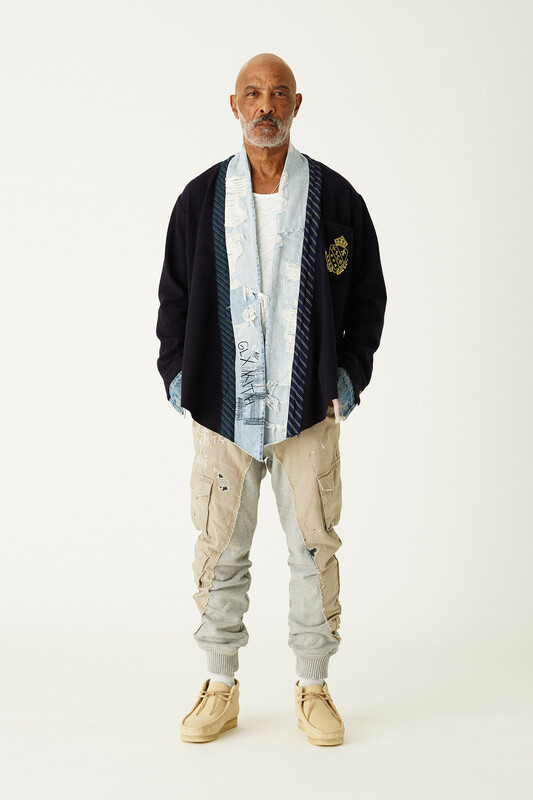 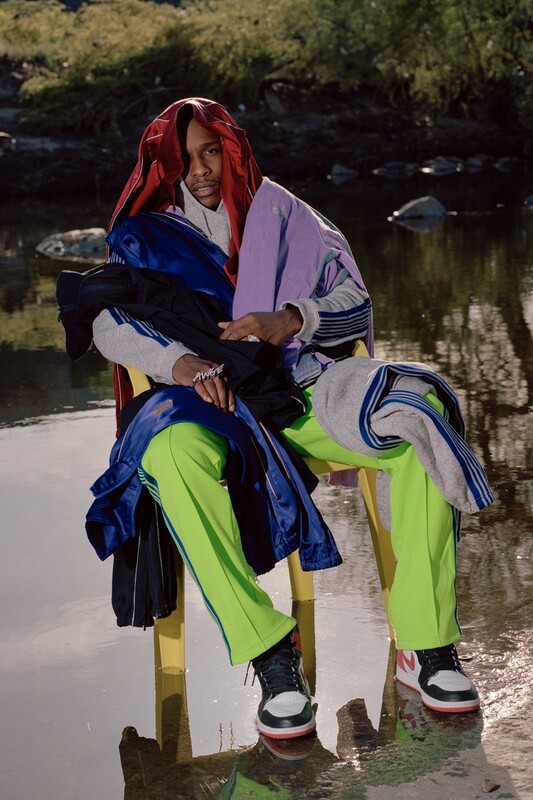 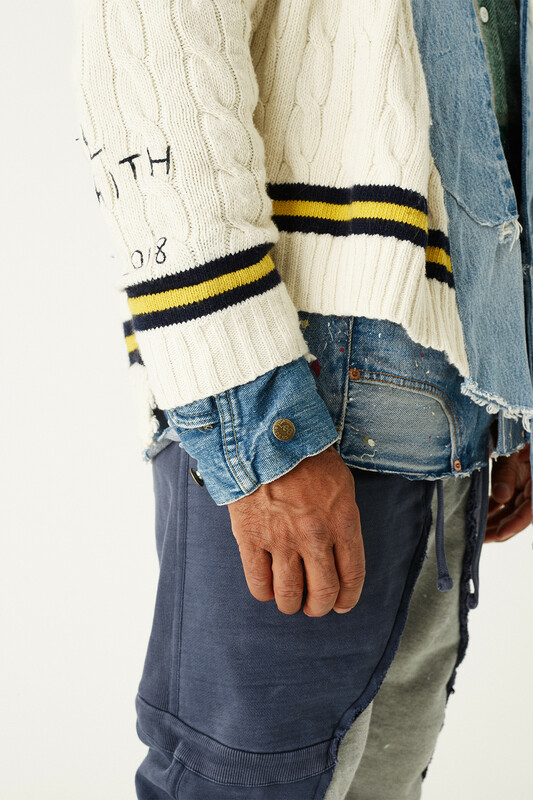 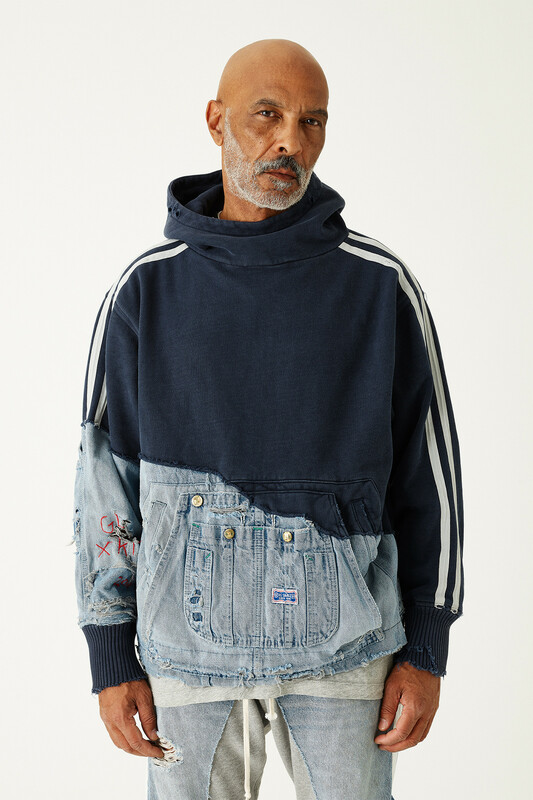 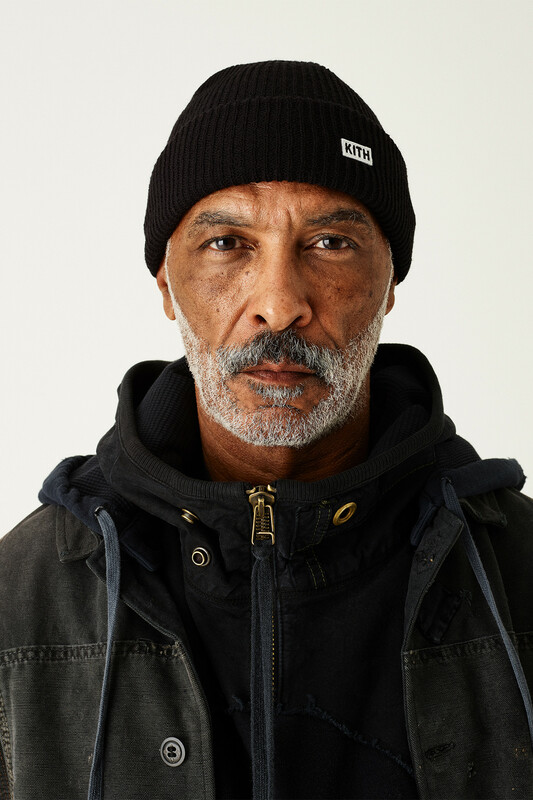 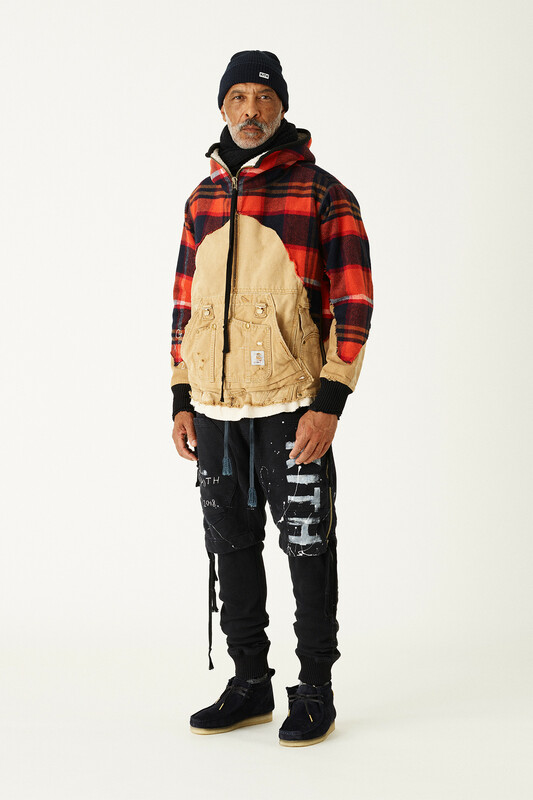 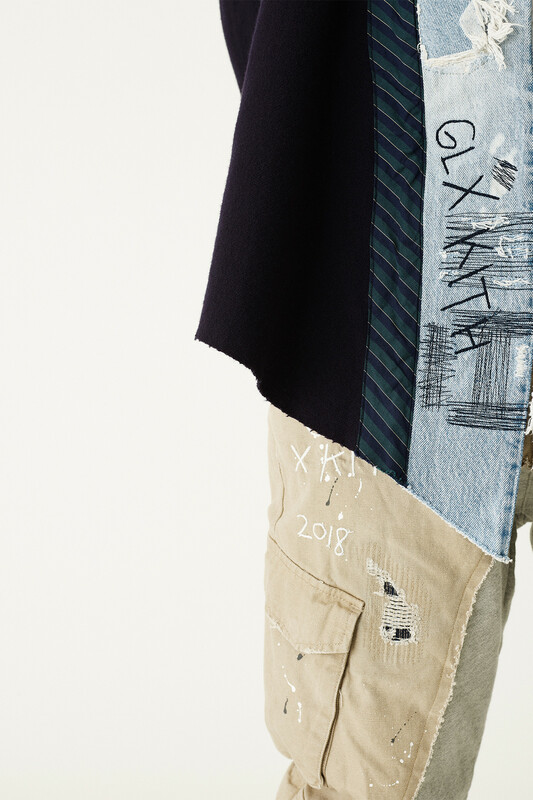 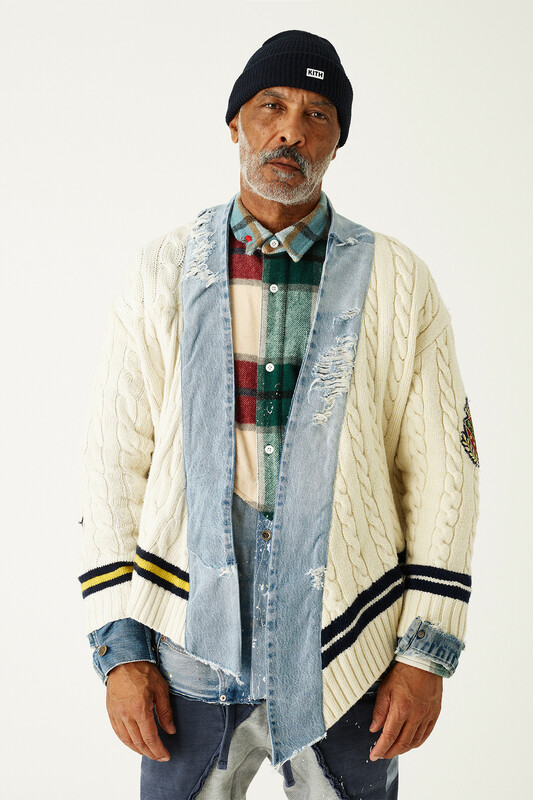 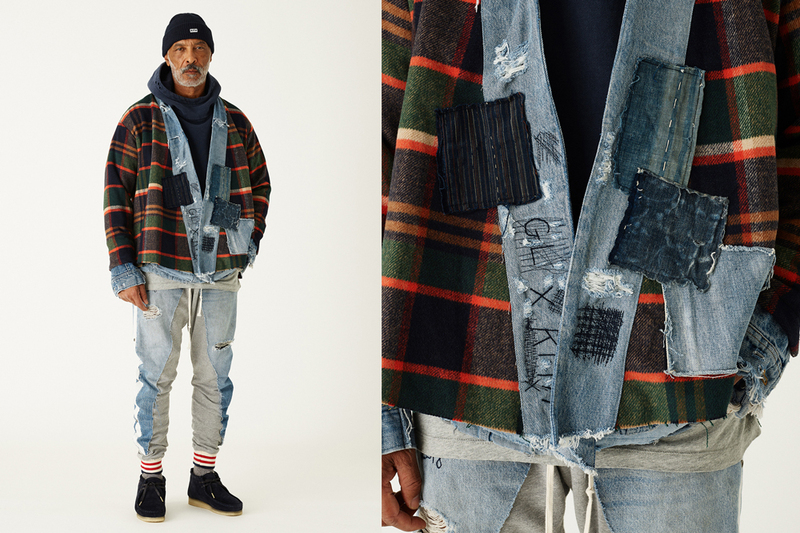 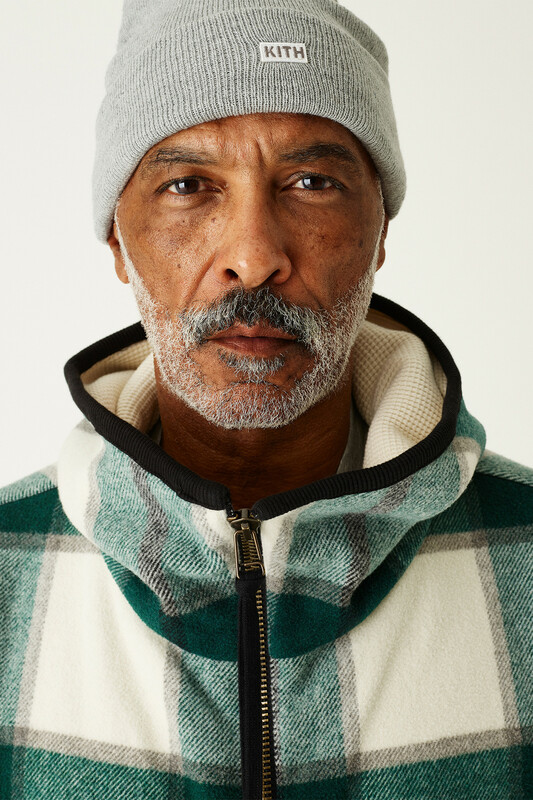 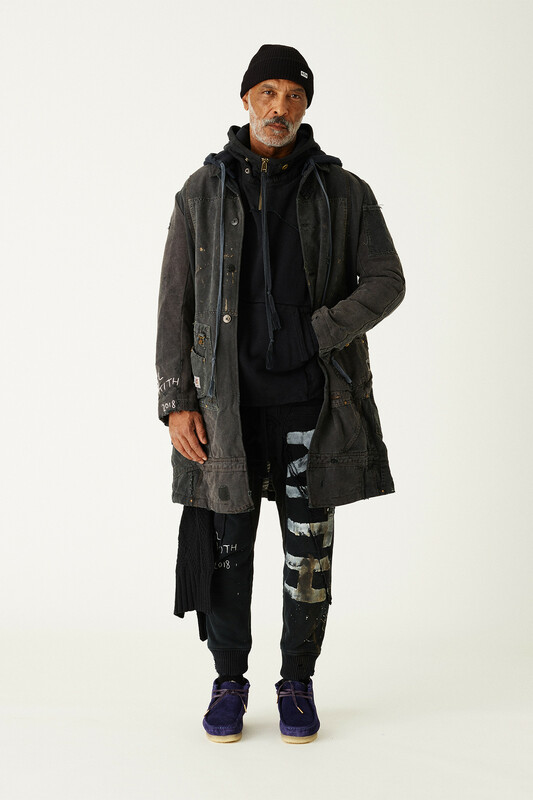 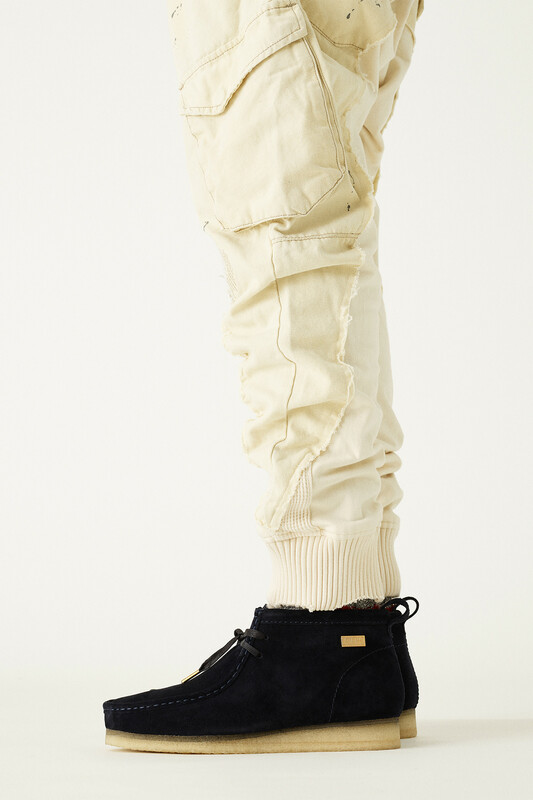 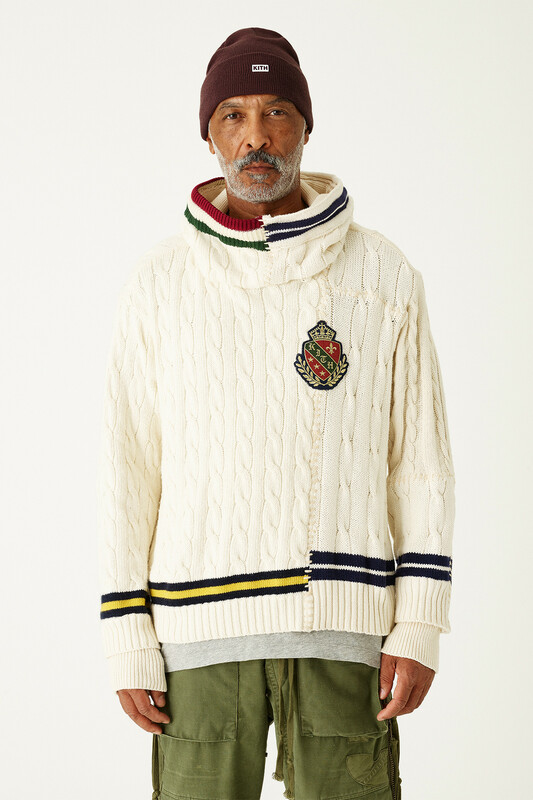 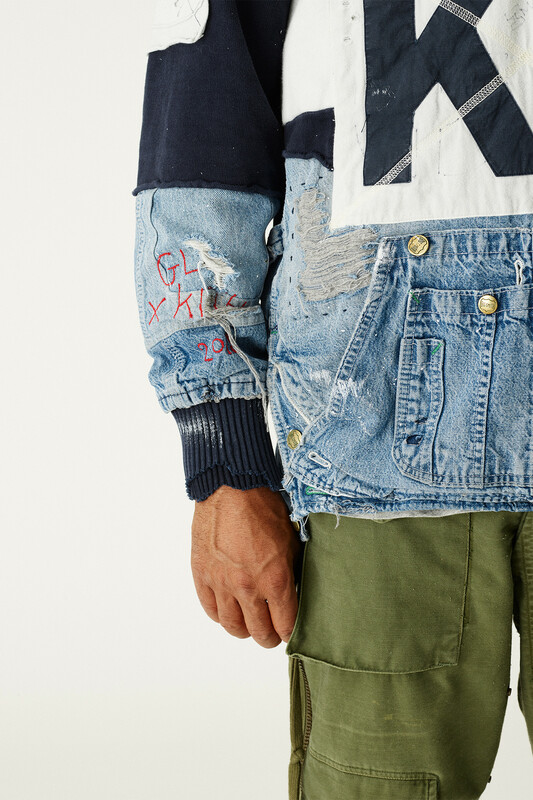 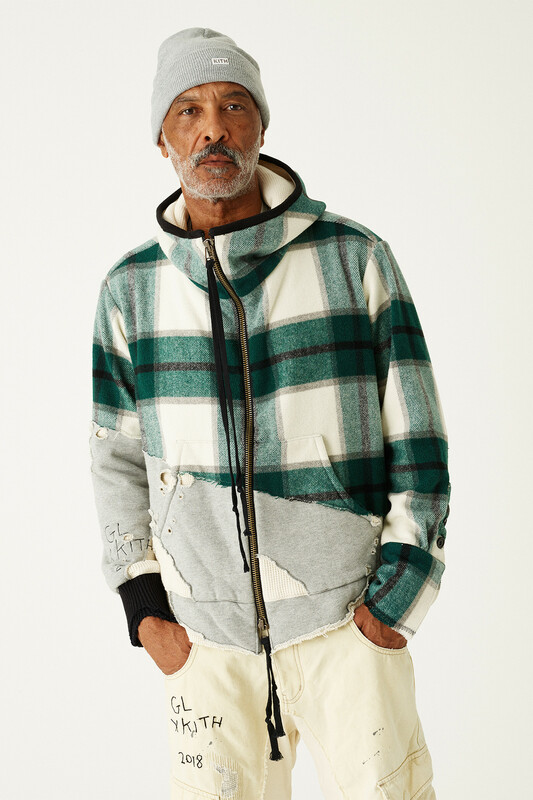 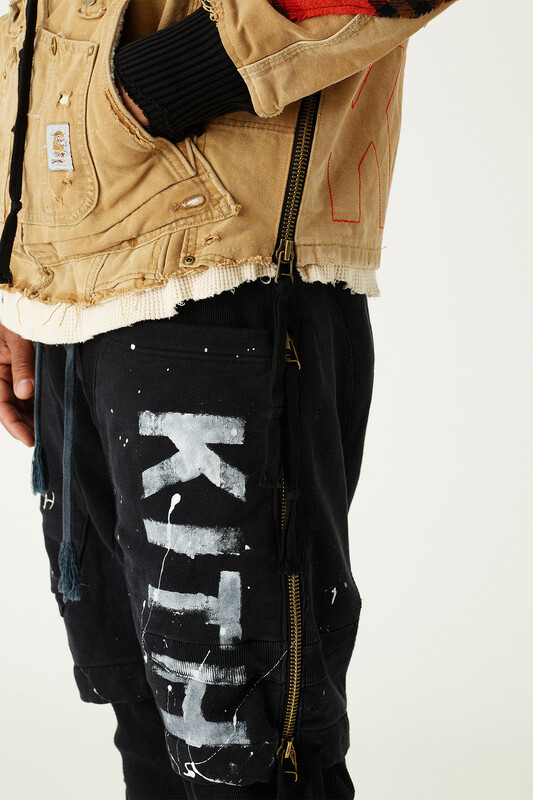 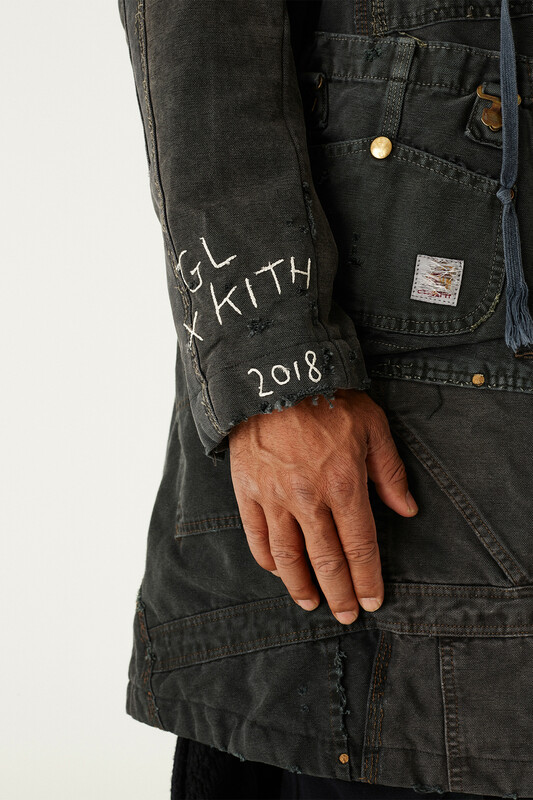 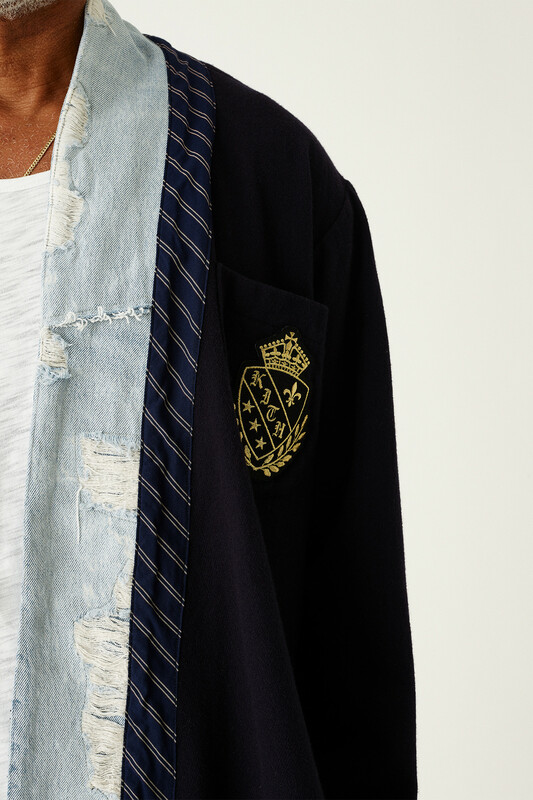 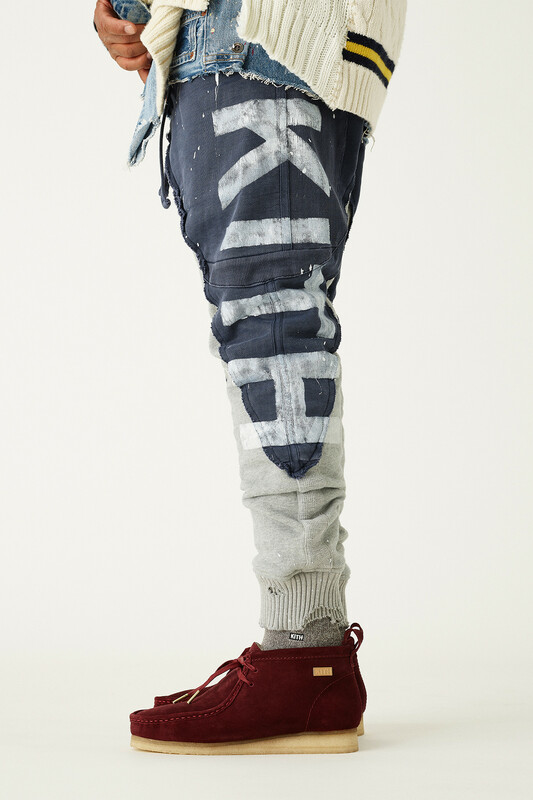 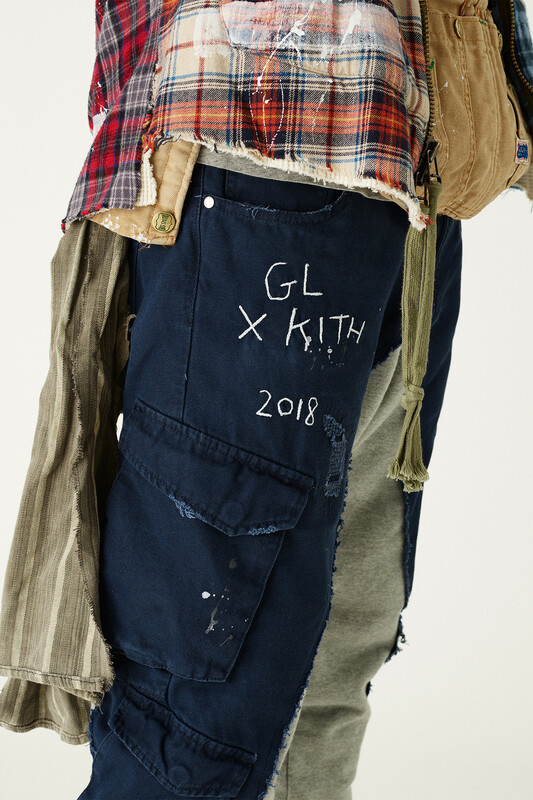 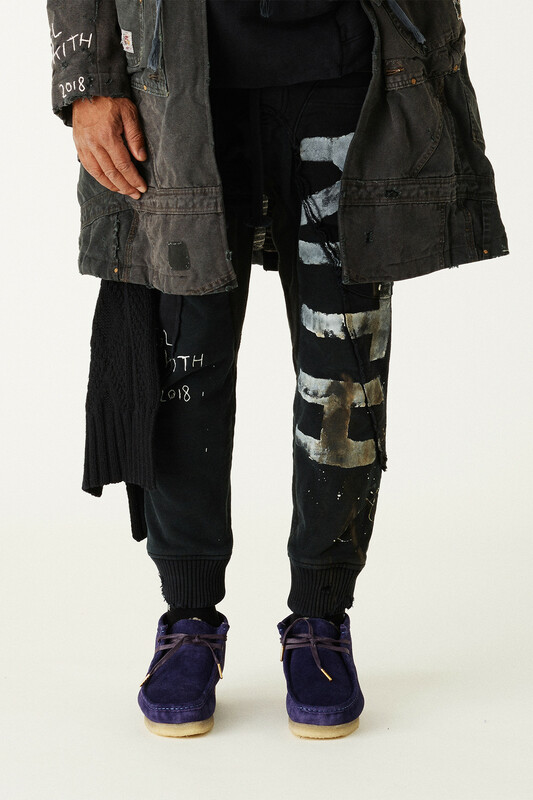 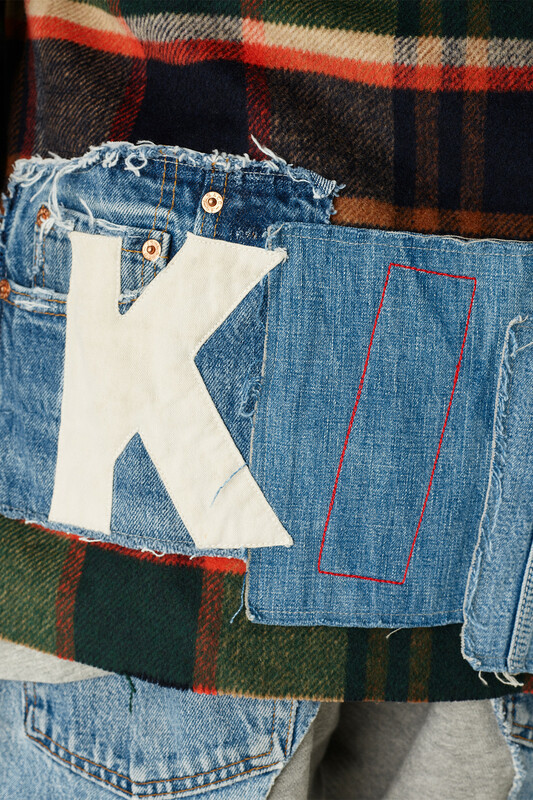 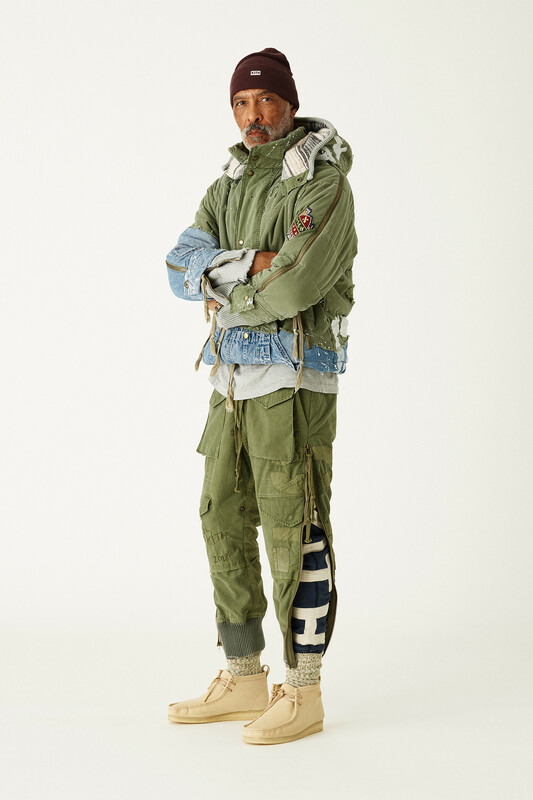 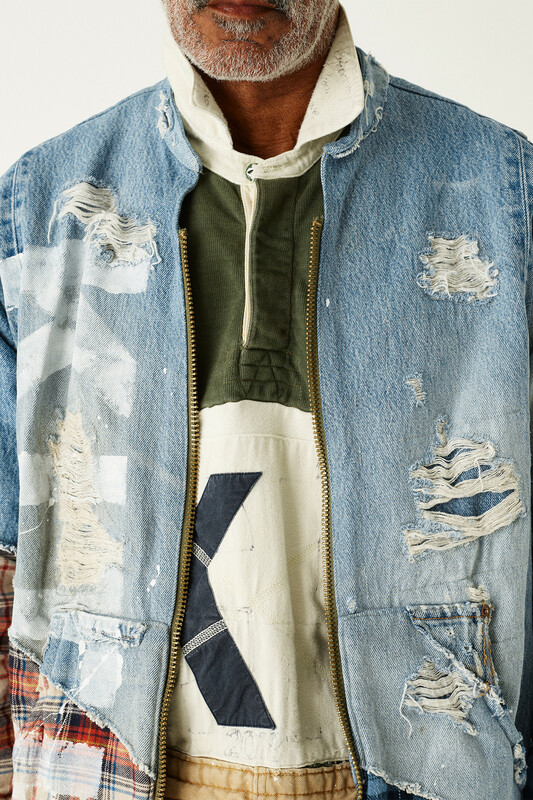 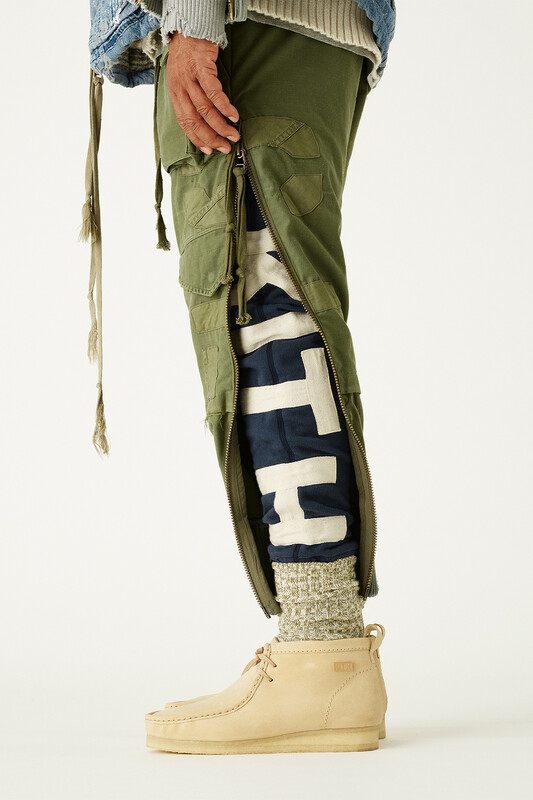 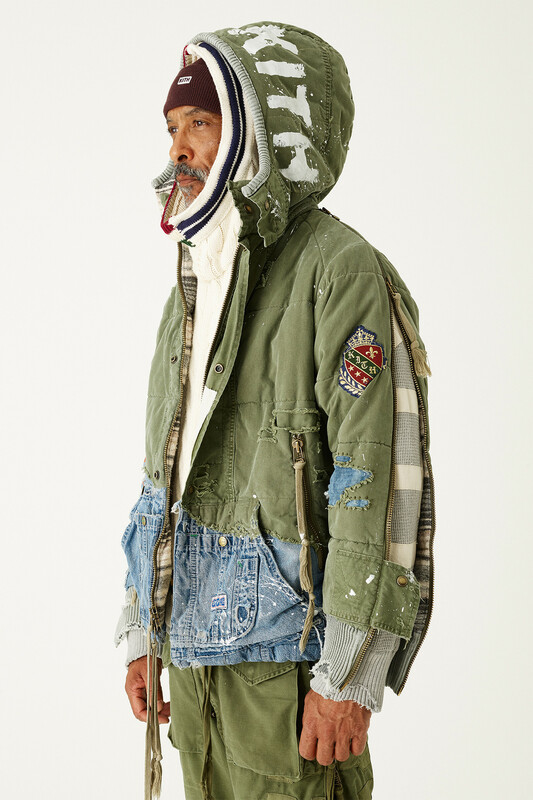 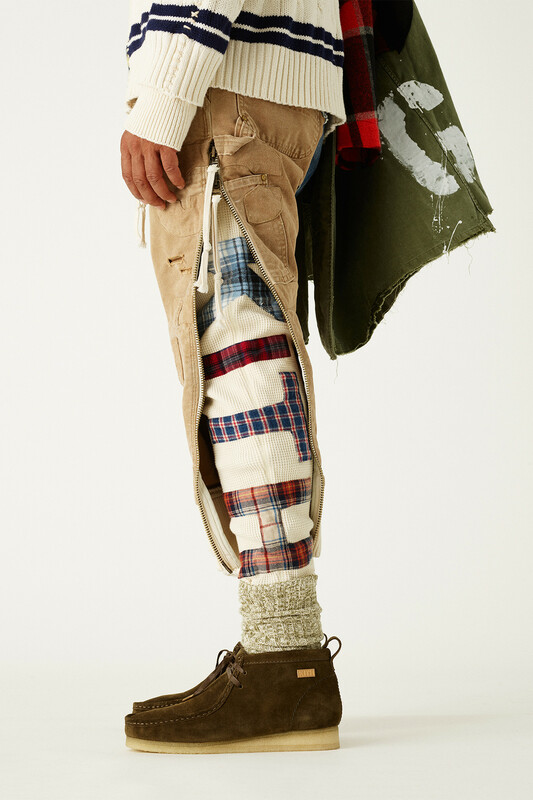 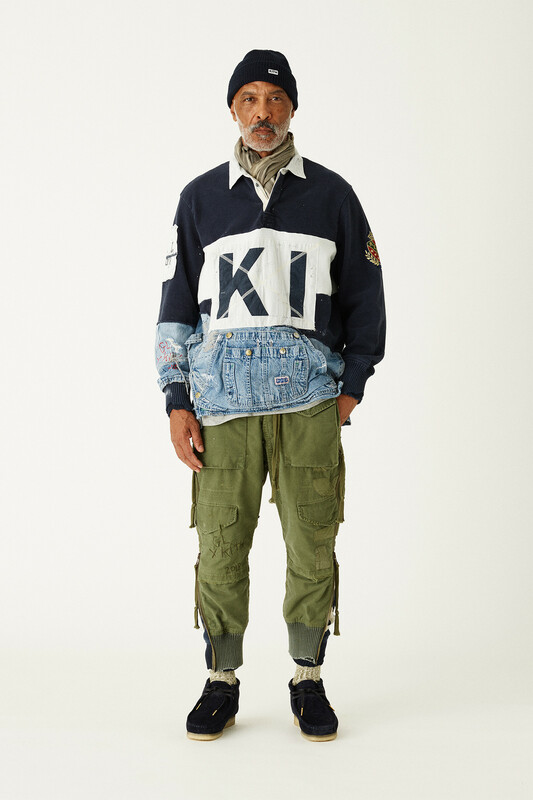 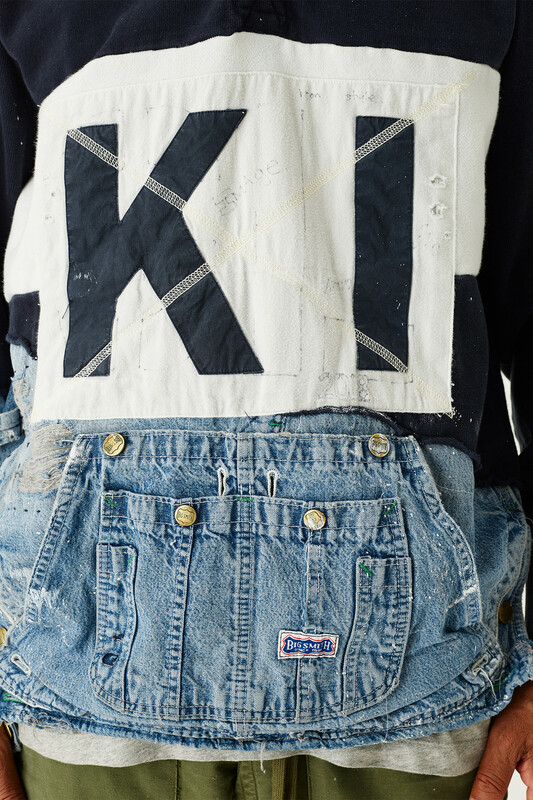 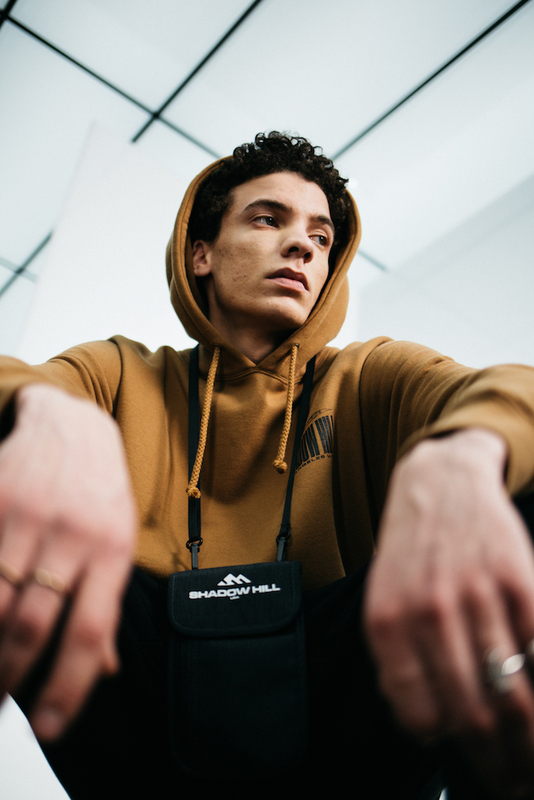 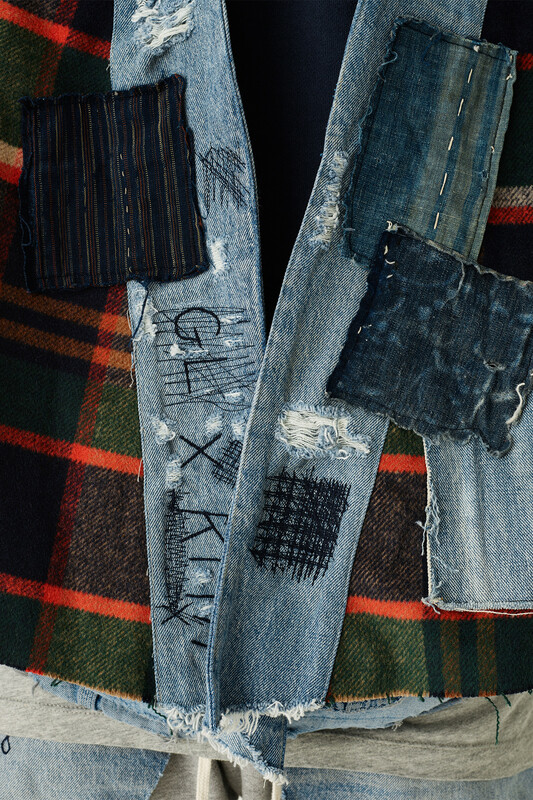 Tapping LA designer Greg Lauren — a legacy in the fashion world as the nephew of style icon Ralph Lauren — KITH drops a super extensive collection that has a cool story behind it as well. 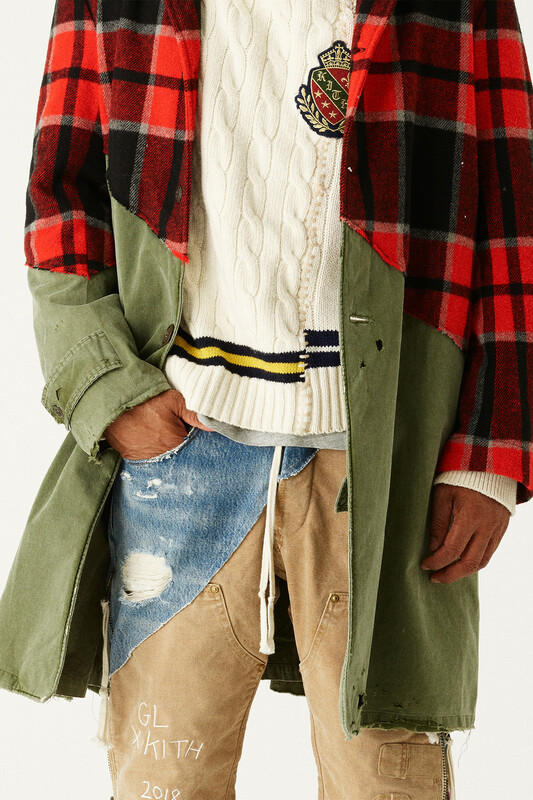 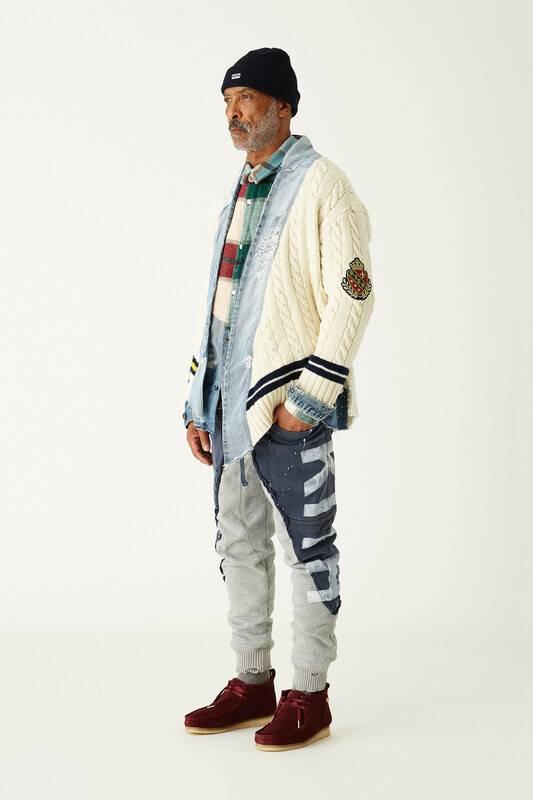 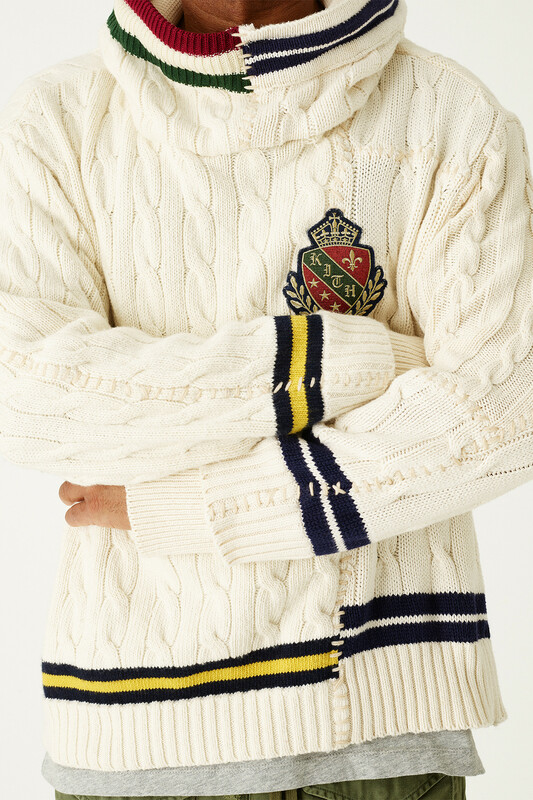 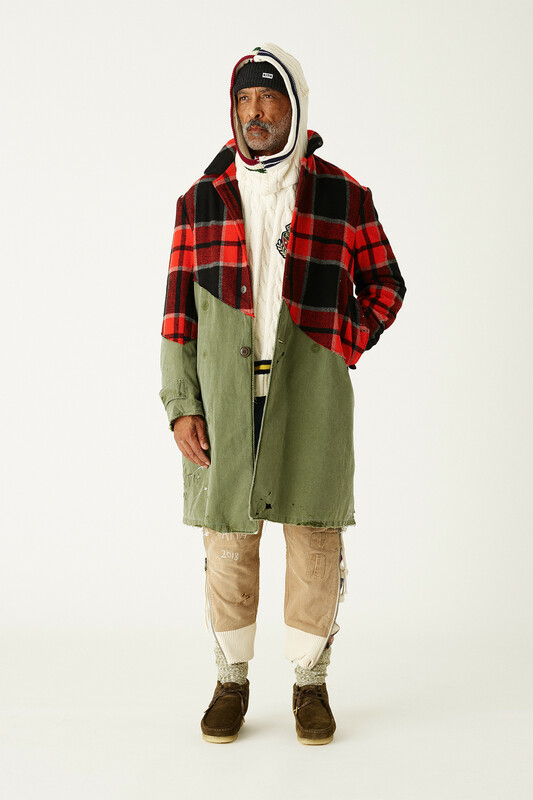 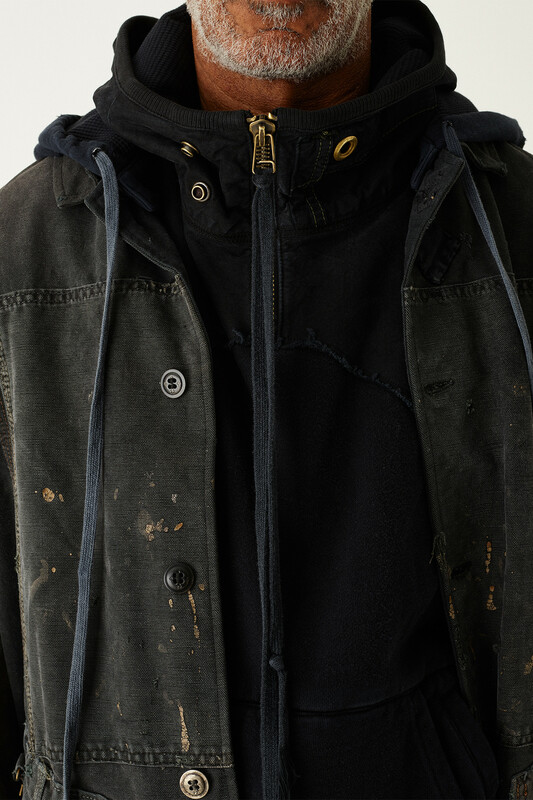 The theme centers around ivy league students that’ve been drafted to war, which explains the mix of Americana staples, including cowl neck cable sweaters (seen above), winterized overcoats and classic rugby shirts, that’ve been ripped, warped and pieced back together using plaid, wool, denim and Carhartt workwear pieces. 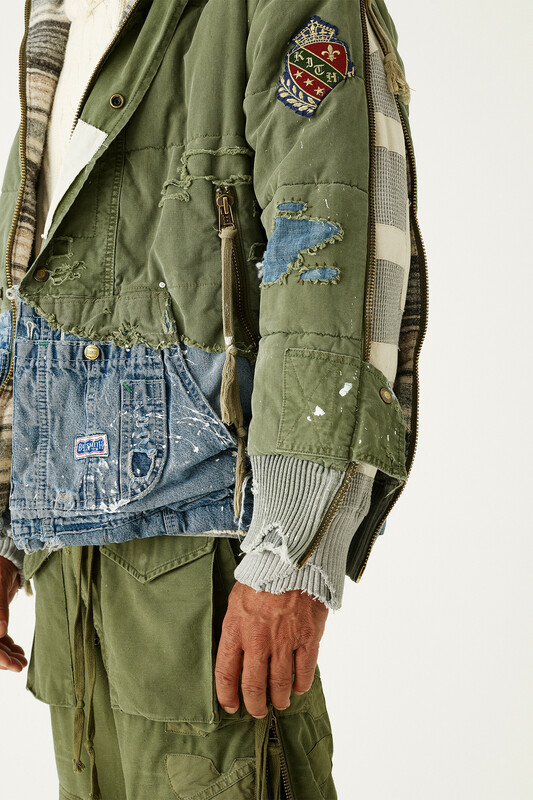 You rarely see collections done up with so much detail, and to know it’s all upcycled makes us appreciate the intricate specs that much more. 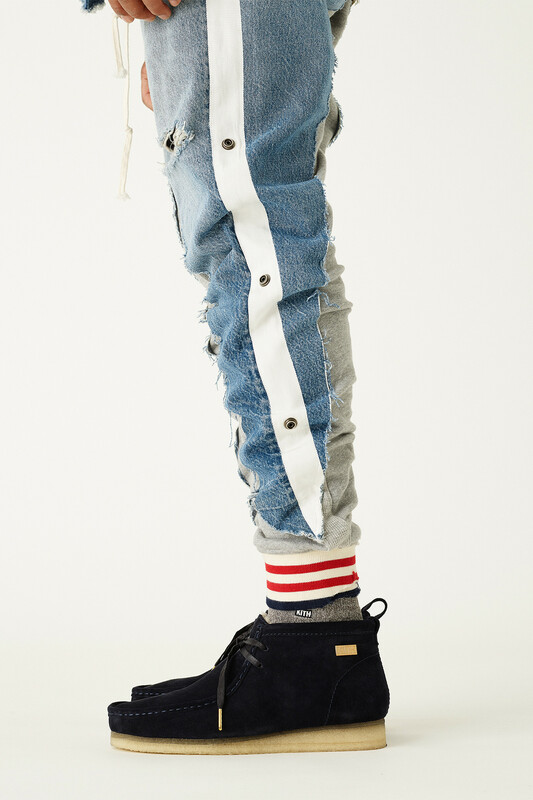 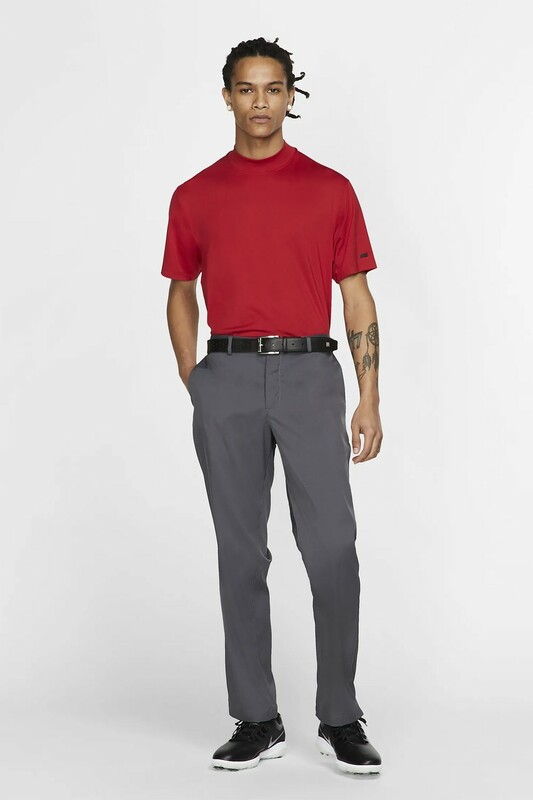 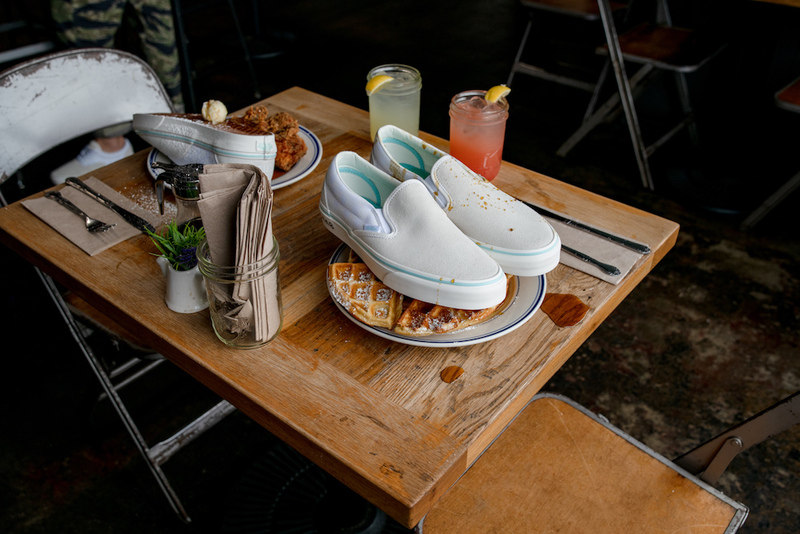 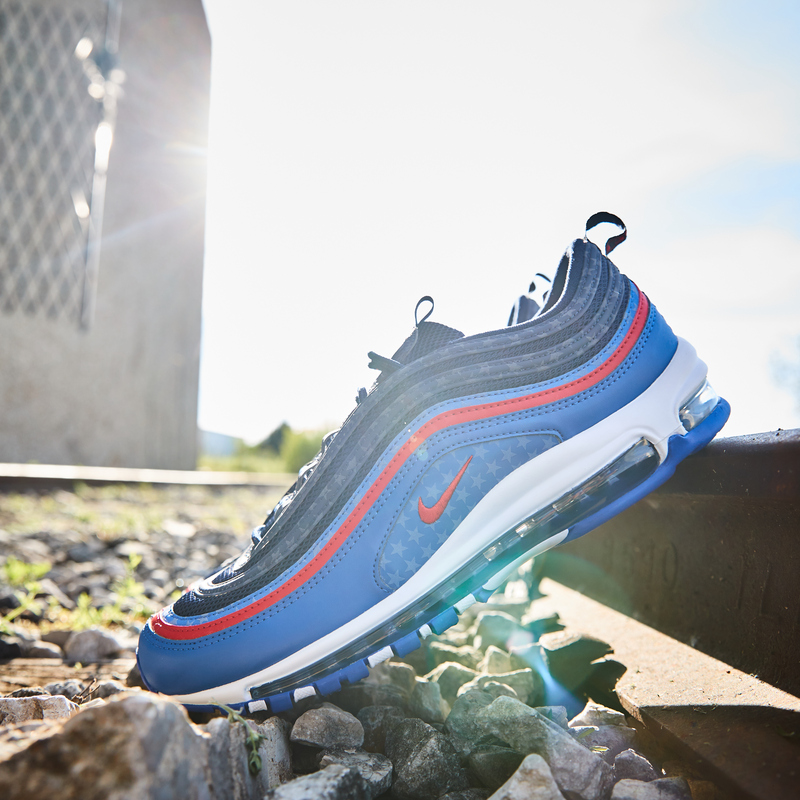 The 26 different styles really make it tough to choose the best ‘fit, but you’re swag will be on point regardless of how you style these up.